Provide comfort for the family of Giulio Mariotti with a meaningful gesture of sympathy. Beloved husband of Piera (Toccaceli) Mariotti predeceased 2015. Loving father of Vivian (Pierre Charron) and Maurisio (Lisa). 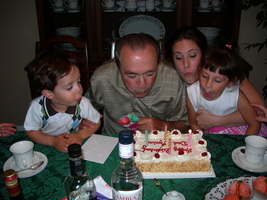 Cherished Nonno of Monica (Kristopher), Matthew, Marissa, Julian and great-Nonno of Ellie and Logan. Dear son of Serafino and Adele Mariotti both predeceased. Dear brother of Dennis (Muriel), predeceased by Tulio, Fausta Camilloni, Isolina Borgogelli, Elzira Antilli, Egidio, Gino, Mario, Enrico, Giuseppina Camilloni, and Lino. Giulio was a skilled painter by trade. He was an avid gardener and always shared his wonderful vegetables with family and friends. He had a passion for playing bocce, and enjoyed spending time with family and friends. 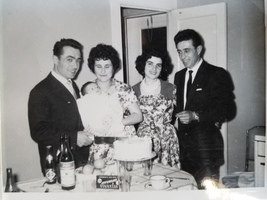 Giulio was a life member of Associazione Regionale Marchigiana Sudbury and the Caruso Club. Special thanks to the VON for their care and kindness. Thursday, March 21st, 2019 at 11 A.M.
Entombment at the Civic Mausoleum. Donations to HSNF Cardiac Unit would be appreciated. To send flowers in memory of Giulio Mariotti, please visit our Heartfelt Sympathies Store. Donations are being accepted for: HSNF Cardiac Care Unit. Consider providing a gift of comfort for the family of Giulio Mariotti by sending flowers. We encourage you to share your most beloved memories of Giulio here, so that the family and other loved ones can always see it. You can upload cherished photographs, or share your favorite stories, and can even comment on those shared by others.